Has 1000's of visitors to its website, every day people are looking for Restaurants, Hotels, Things to do, Places to visit, Attractions, play Golf, Fishing, Activities and many more, and we offer them all the information they nee to help them enjoy their stay in Gran Canaria. The visitors to our website are increasing daily, due to our excellent SEO and constant exposure on Facebook, Blogs, Chat rooms, forums, re-targeting campaigns and local advertising and International advertising. You can be sure as a savvy advertiser your ad campaign will be viewed across a broad spectrum of ad mediums. Advertising on “What's On In Gran Canaria.com” could not be easier. We have developed an easy to understand self-service booking platform where you can book your ad spot for 1 week or 1 year, giving you the flexibility to change your ad when you want during your advertising period. Our simple “Ad module” system is easy to book, using our “Click and Pay“ secure system. We offer a full range of ad sizes to fit any advertisement budget. We have small 150 x 100 ad spots on the footer sliding banner. We can also offer bespoke ads sizes to fit your requirements. For those advertisers, that have an advertising video, then our advertising platform allows the video to be included as well. 3 minutes of video is worth more than 3,000 printed words. More and more savvy advertisers are using video in their advertising mix. You will find with over 50 ad spot location with What’s On in Gran Canaria we offer ad spots to fit all budgets. Rolling Gran Canaria News, delivering the latest news from Gran Canaria and the surrounding area, combined with those advertisers, that want to place their wording with this delivery method. It has a unique feature, when you hover-over the words, it will stop rolling, and will link to your website or sales page. 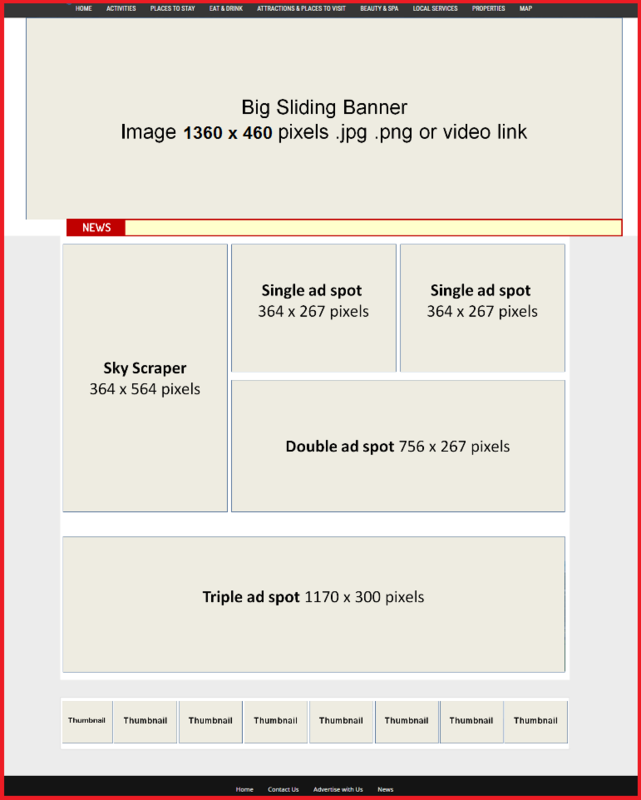 The Big Sliding Banner ad spot, is a very popular ad spot. The banner rotates every 3 seconds and is hyper linked to your website or sales page. The Banner can also display a video, a very popular feature. Video is playing more and more in customer’s decision making. The Big Sliding Banner is on every page. You can chose the Home page, Tab page, Map page, or on a specific targeted drop down menu page. The Home Page is the most popular page where advertisers are eager to display their ads. Any advertisers can be displayed on the Home page. Our Targeted Drop Down Menu pages, laser target your advertisement to those, that are looking for a particular item. Restaurants, Hotels, Things to do, Places to visit, Attractions, Golf, Fishing, Activities. 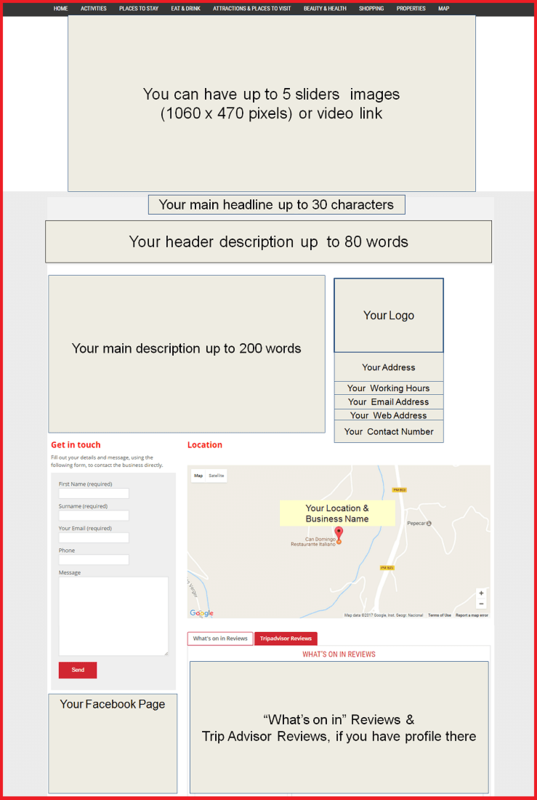 If we don’t have your sub heading category, we will create one for you and your business. The Thumbnail small slider at the bottom of the page is for those that have small budgets but still want to advertise on “What’s on in Gran Canaria“. These small but powerful ads link to you website or sales page. Gran Canaria Map to add even more value to your ad campaign we have an active “Gran Canaria Map” tab, which hyper linked to every advertiser. When someone hovers over the map and click on an area, it brings up a new page with all advertisers in that area. This is a very unique FREE feature, allowing a visitor to see all that’s going on in their area. For those advertisers, that do not have graphic design facilities or whose time is short we offer a FULL graphic design team who can design your perfect ad. Whether this is a static ad, or animated GIF ad, our team can design what you want. Any ad we produce, you own full copyright. If you would like us to design your ad for you, tick the box "Design my ad" on the Contact Us page at the bottom of the website and we will be in touch to discuss your requirements. The POWER of Video is now being used more and more by the savvy advertisers. 3 minutes of video is worth 3000 words. Video can impact with your viewers in ways words can never do. There is a misconception that video is to costly, nothing could be further for from the truth. The return on investment can be 10-15 times higher with video over written word. We can input your company or promotional video into ANY ad spot or we can produce a high quality fully edited video for you. With the cost of video production within reach of most advertiser's budget it should be something to consider. With high quality video footage mixed (if possible) with aerial drone video footage, you could leave your competition standing. If you would like to discuss using video within your ad, please tick the box "I want to discuss Video ads" on the Contact Us page at the bottom of the website and we will be in touch to discuss your requirements. 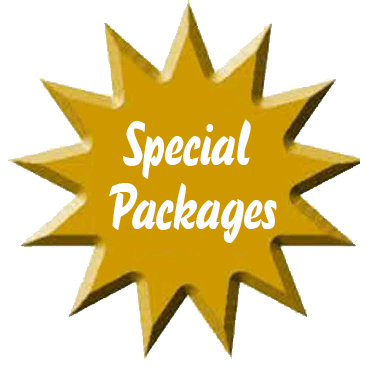 We offer two popular “Special Ad Packages” offering the advertiser a complete ad package. 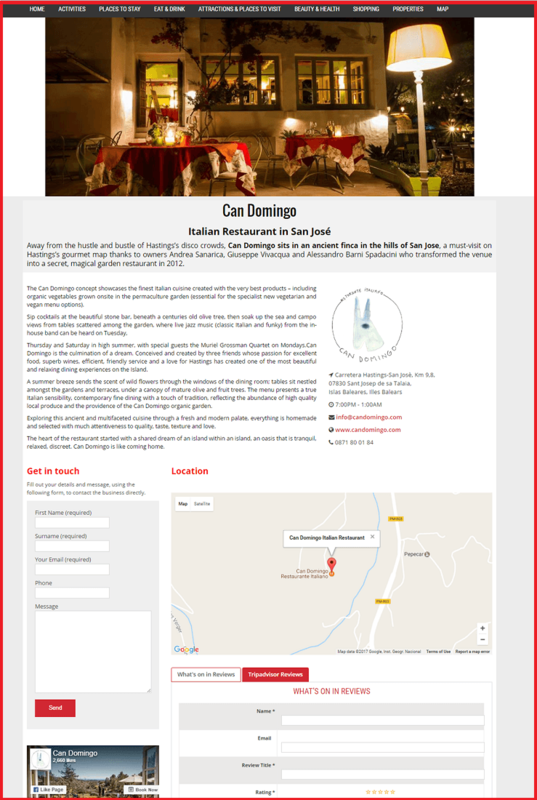 These cost effective packages puts your advertisement onto the Home Page, Gran Canaria News and Drop Down Menu (see our rates for these two popular packages). Flexibility of advertising is a must and at What’s on in Gran Canaria we allow you to change your ad at any point with no extra cost. As a savvy advertiser you will know that continuity of advertising is a must. Running an extended campaign with ability to change ad copy at any time, offers you the ultimate mix. Here you will find all you need to know about each page ad spot and the pricing, discounts and our special ad packages. It is broken down into the various sections, Gran Canaria News, Home Page, Tab Page, Drop Down Menu Page, Thumbnail slider, and Special ad packages. They include description, cost and discounts and enables you to book online through the secure PayPal or Bank transfer. 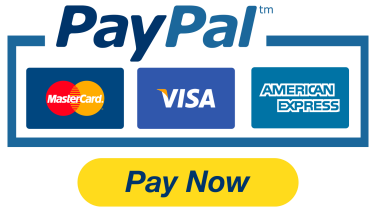 Cash payments can be made only direct with the General Manager as displayed on the website. This low cost advertising is on EVERY page and runs with the latest news in Gran Canaria. When you hover over your 75 Character ad it will pause and will click through to your website or FREE sales page. Advertising on this spot is for a 1 month duration once the ad is live. The Home page is our main landing page and carries a full range of all Ad Spots: Rolling News, Sliding Banners, Video ads. This page is always in big demand and has a 100% click through rate. This BIG sliding banner is above the fold and is a powerful advertising spot. The slider moves every 3 seconds. The Single Box Ad is perfect for the regular advertiser. 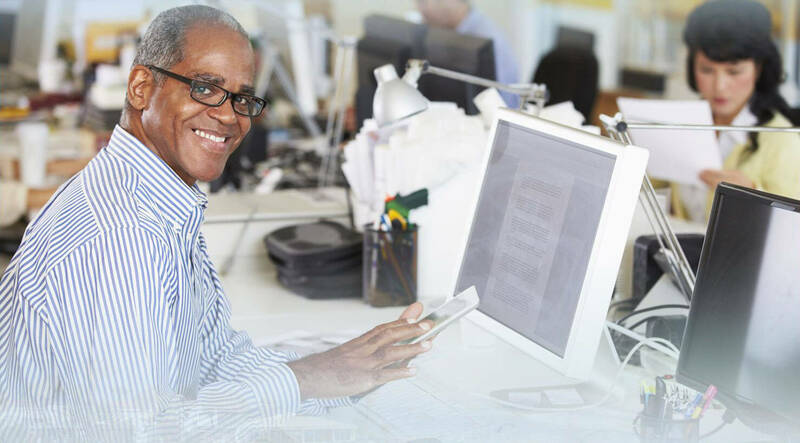 It offers an array of ad features to compliment your business or service. This can be a picture with overlay of words OR display video of your choice which is very powerful. When using video this can expand to full screen. The Double Box Ad is excellent value. It offers an array of ad features to compliment your business or service. This can be a static ad with over lay of words OR display video of your choice which is very powerful. When using video this can expand to full screen. The Triple Box Ad really does stand out. It offers an array of ad features to compliment your business or service. This can be a picture ad with overlay of words OR display video of your choice which is very powerful. When using video this can expand to full screen. The Sky Scraper ad brings out a difference. It offers an array of ad features to compliment your business or service. This can be a picture ad with over lay of words OR display video of your choice, which is very powerful. When using video this can expand to full screen. The Tab Page Advertising allows you to place your ad on any of these Tabs. Activities, Family Activities, Eat & Drink, Attractions & Places to Visit, Places to Stay, Shopping, Beauty, Hair & Health, Map of Gran Canaria. When someone is looking for something particular, they will click on an appropriate Tab, what makes this unique is there is only the 4 Ad spots on each Tab, Gran Canaria News, BIG Sliding Banner and Weekly Special Feature and Thumbnail Sliding Banner. Advertising on any of the Tabs puts you in a commanding advertising position. Advertising rates on Tab advertising is cost effective. This BIG Sliding Banner is a powerful advertising spot. The slider moves every 3 seconds, when you hover over it, it will hyperlink to your website or FREE sales page. When you insert a video this overrides the 3 sec slider and plays the video to the end. The Drop Down menus have many categories, each one covers a range of businesses and service. If there is not a category for your business, we will create one for you. When someone is looking, then these are the pages where they will head to. You have a range of ad spots to choose from and this is laser targeted advertising. This BIG Sliding Banner is above the fold and is a powerful advertising spot. The slider moves every 3 seconds, when you click on the ad it will hyper link to your website or FREE sales page. This high visibility sliding banner is very powerful and can be a video rather than a picture. The Single Box Ad is perfect for the regular advertiser. It offers an array of ad features to compliment your business or service. This can be a picture with over lay of words OR display video of your choice which is very powerful. When using video this can expand to full screen. The Triple Box Ad really does stand out. It offers an array of ad features to compliment your business or service. This can be a picture ad with overlay of words OR display video of your choice, which is very powerful. When using video this can expand to full screen. This Small Sliding Banner is at the bottom of ALL pages. These small pictures will hyperlink to your website or FREE sales page, they rotate every few seconds. Always a popular cost effective advertising spot. We offer two very popular “Special Ad Packages” offering the advertiser a complete ad package. This is for advertisers that want to have total exposure. These cost effective ad packages can put your advertisement onto the Homepage, Gran Canaria News, Drop Down Menu, Thumbnail Sliding Banner and our Facebook and Twitter. This offers you MASSIVE coverage and is very cost effective. As you can see we have a range of ad spots to fit all advertising budgets and many sizes of ad spots. If you have any questions on any of our ad spots, costs, placements or explanations needed, please speak to your Executive Sales Manager, who is working with you or you can email us on sales@newsite.whatsoningrancanaria.com or through the Contact Us page.